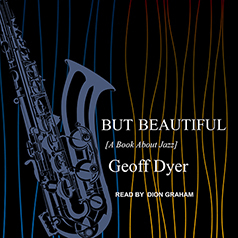 In eight poetically charged vignettes, Geoff Dyer skillfully evokes the music and the men who shaped modern jazz. In eight poetically charged vignettes, Geoff Dyer skillfully evokes the music and the men who shaped modern jazz. Drawing on photos, anecdotes, and, most important, the way he hears the music, Dyer imaginatively reconstructs scenes from the embattled lives of some of the greats: Lester Young fading away in a hotel room; Charles Mingus storming down the streets of New York on a too-small bicycle; Thelonious Monk creating his own private language on the piano. However, music is the driving force of But Beautiful, and wildly metaphoric prose that mirrors the quirks, eccentricity, and brilliance of each musician's style.